Suburban Acres Civic League is hosting a Norfolk Constitutional Officer Candidate Forum on Monday evening October 14th at Suburban Park Elementary School, 310 Thole Street. Doors open at 6 pm for refreshments; meeting/candidate forum starts at 6:30. This is not a debate; candidates will not address each other directly. Each candidate will have up to five minutes for remarks, then another 5 minutes to entertain questions from the audience. You may have noticed that the construction activity at the new medical office building at DePaul Medical Center has stopped over the past few weeks. I reached out to Bon Secours and got an update. Because of the soil composition and the requirements of the doctors who will be tenants, it was determined that the piles that were being driven would not be able to handle the load. The plans are being redone as we speak. The depth of the piles will likely increase from 45ft to 90ft. Pile driving is expected to resume on September 26th. Police reports for Wards Corner precincts will be given to the task force in written format rather than announced by a police officer. This will allow the Community Resource Officers to focus their time on attending civic league meetings for more in-depth discussions of issues of concern to the neighborhoods. Suburban Park Shopping Center Update – The shopping center will have a new name: K and K Square at Wards Corner. This name will honor Kenneth and Katherine Perry, who founded the original shopping center. Harris Teeter is ahead of schedule on construction, with a possible opening date of February 2014. All spaces in the shopping center are leased except one at the southern end. It is hoped a local eatery will lease the space. The BP gas station on the northeast corner is under contract by a developer, who is looking for an end user (not another gas station) with a potential building space of about 4000 square feet, plus on-site parking. One potential lessor is 7-11. The civic league representatives agreed that they are not interested in having a 7-11 at this location. The asking price for the property is $750,000. The group discussed the possibility of the City purchasing the property for a small open space for the public art that is planned for Wards Corner. The City has allocated $1 million for the current fiscal year for Wards Corner redevelopment efforts. For the past three years, the priority has been to use the annual allocations for acquisition of blighted properties in the Denby Park. The task force confirmed that acquisition of properties in that area remains the priority. It will take about $4.5 – $5 million to finish acquisition of blighted properties. Demolition should begin soon on the properties the City acquired last year – all required demolition permits have been received. It was clarified that Norfolk Southern does not have plans to expand a storage yard adjacent to Terminal Boulevard. There are, however, additional container trains coming to the port, which sometimes back up in that area for loading and unloading at Norfolk International Terminal. The Public Art Committee for Wards Corner has a Request for Proposals out for artists to submit ideas for a public art concept for Wards Corner. Proposals are due to the committee in October. The Suburban Acres Civic League submitted requests to the City’s traffic division regarding through trucks on Virginian Drive, and parking on both sides of the 100 block of Suburban Parkway in the vicinity of Norfolk Collegiate. The civic league would like the “no through trucks” signs restored on Virginian, and a return to single-sided parking on Suburban Parkway. The civic league is also concerned about an exterior light that has been out on Suburban Park Elementary since spring. No action has been taken despite a Norfolk Cares request. Suburban Park Elementary needs a new American flag – the old one was removed last year and not replaced. Parking on the grass at residences along West Little Creek Road is of ongoing concern. Police will look into this enforcement issue. The lighting situation in the Wards Corner Shopping Center is a safety concern to the public and police. Most of the parking lot lighting is turned off at about 9:00 pm, even though Dollar Tree is open until 10:00 pm. The Department of Development will talk to the owners of the shopping center and Rite Aid about leaving the lights on until all stores are closed. The City will host a Front Porch Summit for civic leagues on October 19th at the Southside Aquatics Center. The new Harris Teeter anchored shopping center at the southeast corner of Wards Corner has a new name: K & K Square at Wards Corner. K & K Toys, which existed on the property beginning in the 1970s, was the basis of the future “everything for a dollar” concept that gave birth to Dollar Tree. The current tenant list for the new shopping center (from left to right, looking at the shopping center): Starbucks, Subway, Great Clips, Moe’s Southwest Grill, Sleepy’s Mattresses, Harris Teeter, Albano Cleaners, GNC, nTelos Wireless, and a vacant 2100sf location. The out-parcel will be a TowneBank branch. Harris Teeter and the rest of the shopping center tenants are expected to open in February 2014. 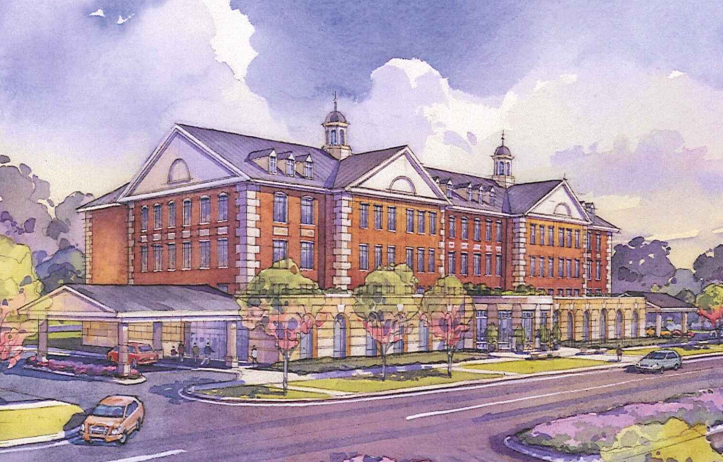 TowneBank is expected to open in early summer 2014. NORFOLK — Police arrested man they say provided vehicles from an illegal vehicle rental agency to suspects involved in multiple burglaries in August and September. Parker-Chesson says Jones then titled and registered the vehicles to “March-E Fragrances” and likely knew what the vehicles were used for. Parker-Chesson said on August 24, a vehicle registered to “March-E Fragrances” was stopped for a traffic infraction. The driver of the vehicle led investigators to additional vehicles. Authorities said Jones also had some of the vehicles crushed at a Chesapeake salvage yard. 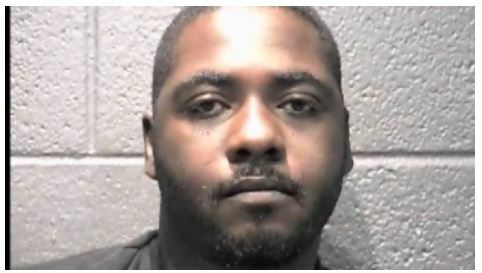 Warrants are issued charging Jones with 22 counts each of obtaining documents from DMV when not entitled thereto, altering or forging certificate of title or registration card, unlawfully transacting or offering to transact business as a corporation without authorization. Jones is being held at the Norfolk City Jail. The investigation is ongoing. Anyone with information is asked to call the Crime Line at 1-888-LOCK-U-UP. Have you see these suspects? There have been a rash of break-ins in the greater Wards Corner area. 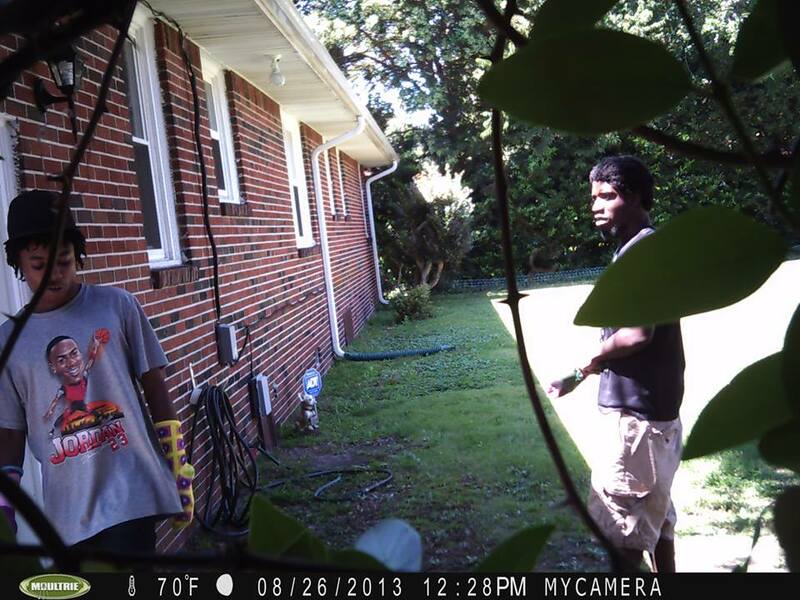 The picture below shows suspects that should be reported to the Norfolk Police Department. Call the NPD Burglary Unit at (757) 664-7011 or the Crime Line at 1-888-LOCK-U-UP. Have you seen these suspects? These suspects are believed to have been involved in a burglary in Talbot Park on Whiting Street. Call the NPD Burglary Unit at (757) 664-7011 or the Crime Line at 1-888-LOCK-U-UP. You are currently browsing the Wards Corner Now - Wards Corner, Norfolk, Virginia blog archives for September, 2013.